The Future Awards Africa, Nigeria’s foremost Awards event today announced its call for nomination for young Africans with outstanding achievements in 2017. 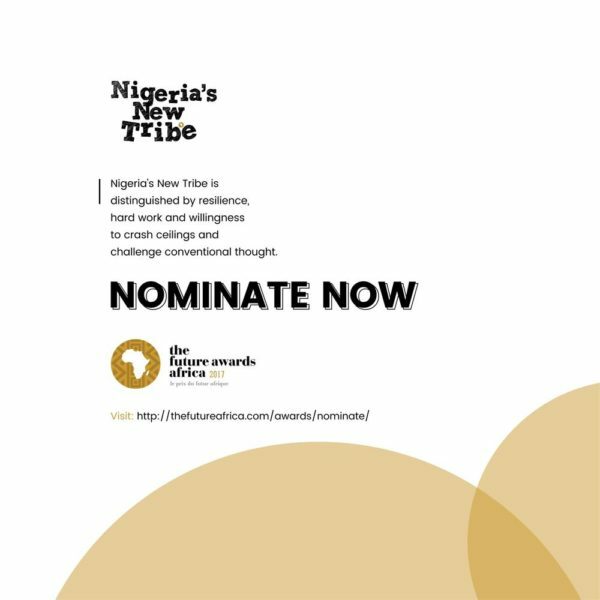 Themed ‘Nigeria’s New Tribe’, this year’s edition seeks to acknowledge inspiring young people making a difference through social enterprise, social good, and innovation. Beyond tribal lines, tunic differences and religious affiliations, they are united by the possibilities of their talent, commitment to hard work and driven by achievement in impacting the economy, society and rewriting the African narrative. In the last twelve years, the awards have been a catalyst towards building a new tribe of citizens who are bound by their potentials, relentless hard work and united by their soaring achievements. 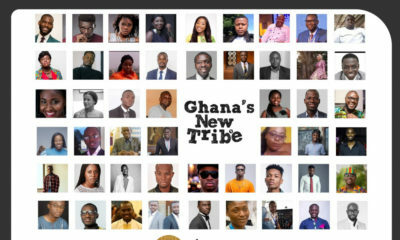 With the first franchise set to be unveiled in Ghana, the awards will find young Africans who understand that the future can only be shaped by ideas and secured by action that seeks to elevate and unify, placing The Future Awards Africa as the ultimate soapbox for their unconventional points of view. Understanding the true value of these innovators, the public can nominate unorthodox persons, community advocates, creators and pioneers from their communities between the ages of 18 – 31 in 21 categories ranging from social activism and business, to media and entertainment. Persons eligible for nomination must have made considerable impact within Nigeria and/or globally within the last year and must have easily accessible documentation of their achievements. The Future Awards Africa Prize for Acting. The Future Awards Africa Prize for Fashion and Design. The Future Awards Africa Prize for Beauty. The Future Awards Africa Prize for Music. The Future Awards Africa Prize for Professional Service. The Future Awards Africa Prize for Business. The Future Awards Africa Prize for Sports. University of Sussex & The Future Awards Africa Prize for Education. The Future Awards Africa Prize for Technology. The Futures Awards and EbonyLife Prize for New Media. The Future Awards Africa Prize for Media Enterprise. The Future Awards Africa Prize in Public Service. The Future Awards Africa Prize for Arts & Culture. The Future Awards Africa Prize for Comedy. The Future Awards Africa Prize for Advocacy. The Future Awards Africa Prize for Agriculture. The Edwin George Prize for Photography. The Futures Awards and EbonyLife Prize for Journalism. 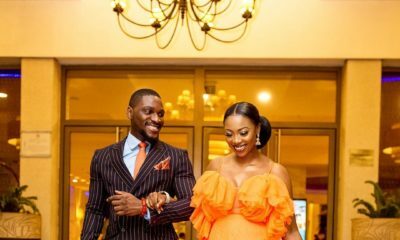 The Future Awards and EbonyLife Prize for On Air Personality (visual). The Future Awards and EbonyLife Prize for On Air Personality (audio). 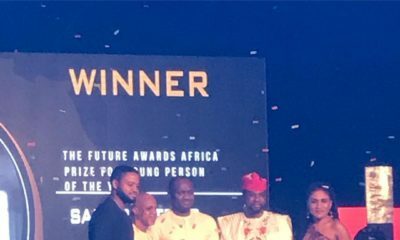 The Future Awards Africa Prize for Young Person of the Year. Is there an outstanding Nigerian youth you’d love to be a recipient of this prestigious award? 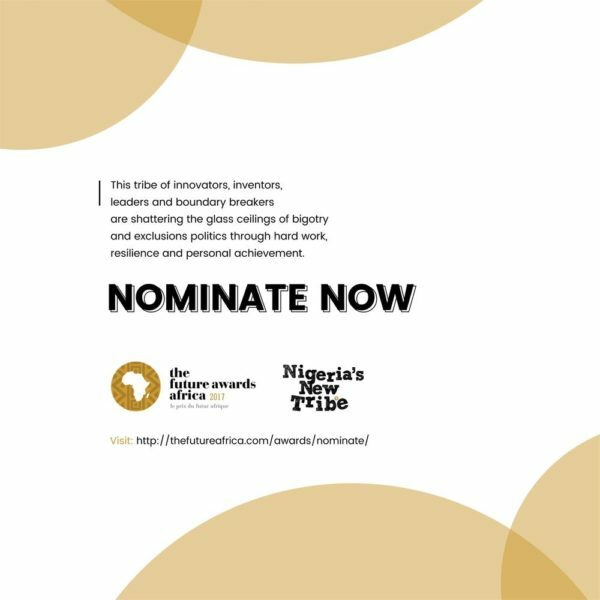 Log on to www.thefutureafrica.com/awards/nominate to nominate him/her! Follow TFAA on Instagram and Twitter to keep up with the latest news on TFAA. 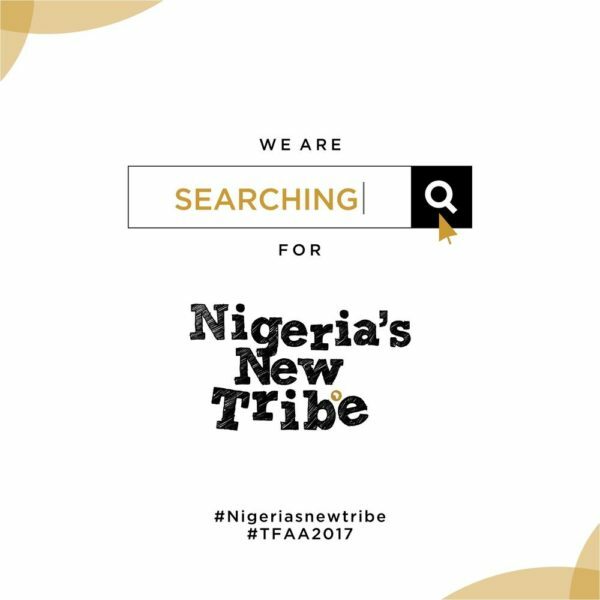 The official hashtags for 2017 are #NigeriasNewTribe and #TFAA2017. Watch video from the 2016 edition below. Well done TFAA! This makes me so happy.